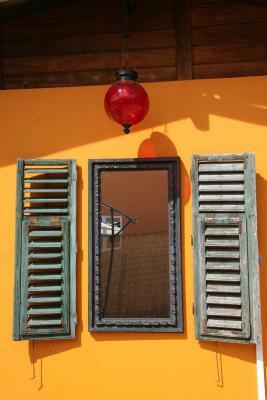 Lock in a great price for Casa-Calexico – rated 9.5 by recent guests! Hosts Elke and Jon were super accommodating and friendly. Pool was clean and in a lovely setting. Hosts were incredibly hospitable! 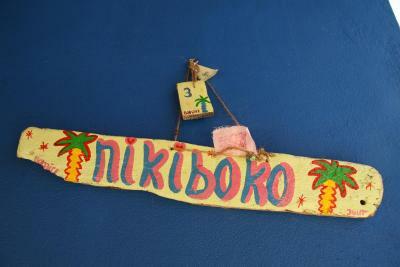 They greeted us, offered us beers and showed us snorkeling sites and local restaurants on the map. They were very patient with us as we asked loads of questions. We just had a few days on the Island but this place was just perfect. So cozy and Audrey and her husband are amazing! If you are looking for a non mainstream place to stay, you’ll feel welcomed here! Everything about Casa Calexico is great! Jan and Elke are amazing hosts, friendly, knowledgeable, efficient and very very helpful! They go out of their way for the guests. The property itself is homely with a lovely beachy feel. Perfect holiday atmosphere. I loved my little cottage with its outdoor kitchen and hammock. I didn’t rent a car but had no problem getting to the grocery store or downtown as they are a few steps away. Great stay. Everything as described. Highly recommended! Jan and Elke are super nice and helpful, they explain the whole island to you. Supermarkets and the center of Kralendjik are very close (but we recommend to rent a car for your trip). Offering an outdoor pool and lush gardens, Casa-Calexico is located a 5-minute walk from the beach in Kralendijk. Rooms have private terraces with a hammock, a dining area and a small kitchenette. Each room at Casa-Calexico has tropical-style décor, free Wi-Fi and air conditioning. The private bathrooms come with a shower. 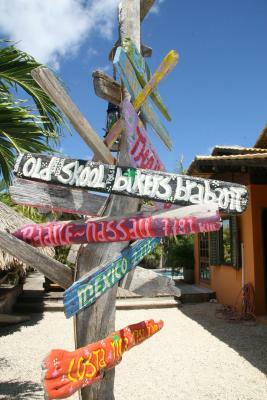 Casa-Calexico is an ideal base for watersports such as diving and windsurfing. A range of shops, restaurants and bars can be found within a 10-minute walk, while Bonaire Flamingo International Airport is 1.6 mi away. When would you like to stay at Casa-Calexico? 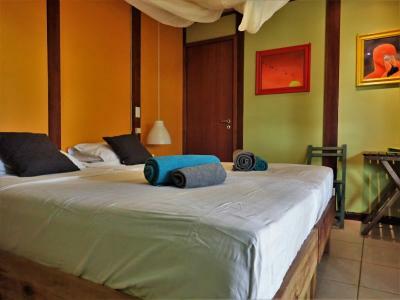 This room has tropical-style décor, free Wi-Fi, air conditioning and private bathroom with a shower. 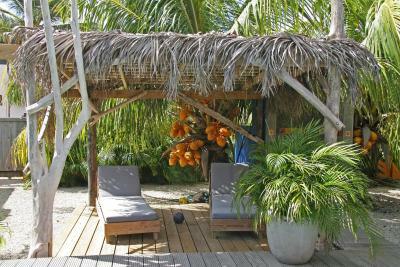 It offers a private terrace with a hammock, a dining area and a small kitchenette. Casa Calexico is the result of making our dream come true! 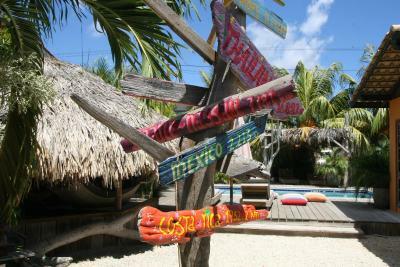 We love hosting you in our guesthouse and fully enjoy your time on Bonaire! House Rules Casa-Calexico takes special requests – add in the next step! Casa-Calexico accepts these cards and reserves the right to temporarily hold an amount prior to arrival. Could have used some hooks for clothing and towels in bedroom and bathroom. One recommendation: Consider including mini bath items & extra beach towels in the room. Casa Calexico made us feel home in a Tropical Paradise. The accomodation is clean, has a nice design, good airconditioning, and the porch with hammock was exactly what you need after a day in the ocean. The new hosts Elke and Jan really understand their job. Some examples already at the airport a cab was waiting for us, without asking they just arranged it for us. We arrived late, a breakfast for the next morning was already waiting for us in the refrigerator. Also during our stay they were always available for our questions. Excellent location on a quiet little street less than 10 minutes walk to the downtown restaurants, a couple of supermarkets and a number of dive shops, car rent is around the corner. The owner was very friendly and helpful in suggesting good options for restaurants, sightseeing on the island etc. The guest house is very cosy and has its own style.